NEW ORLEANS -- Federal prosecutors dropped manslaughter charges Wednesday against two BP supervisors responsible for safety aboard the oil rig where an explosion killed 11 workers and caused the nation's worst offshore oil spill. The decision makes it likely that no one will serve jail time for the disaster. U.S. District Judge Stanwood Duval Jr. agreed to the government's request and accepted Donald Vidrine's plea to his only remaining charge: a misdemeanor count of violating the federal Clean Water Act. A lawyer for the other rig supervisor, Robert Kaluza, said his client will fight that misdemeanor charge at a trial scheduled for February. "From Bob's standpoint, he's charged with a crime he didn't commit, and he's going to go to trial to clear his name," said Kaluza's attorney, Shaun Clarke. To convict Vidrine or Kaluza of involuntary manslaughter, prosecutors would have had to prove that they acted with a "wanton or reckless disregard for life." David Uhlmann, a University of Michigan law professor and former chief of the Justice Department's environmental crimes section, said it would have been "extremely difficult" for prosecutors to meet that burden of proof. "The problem in the Gulf oil spill is not that the government tried to hold individuals responsible," Uhlmann said. "The problem is that the responsibility lies with the senior corporate management that created a corporate culture that promoted risk taking and did not place sufficient emphasis on safety and environmental protection." Prosecutors said Vidrine and Kaluza botched a key safety test and disregarded abnormally high pressure readings indicating signs of trouble ahead of the blowout. 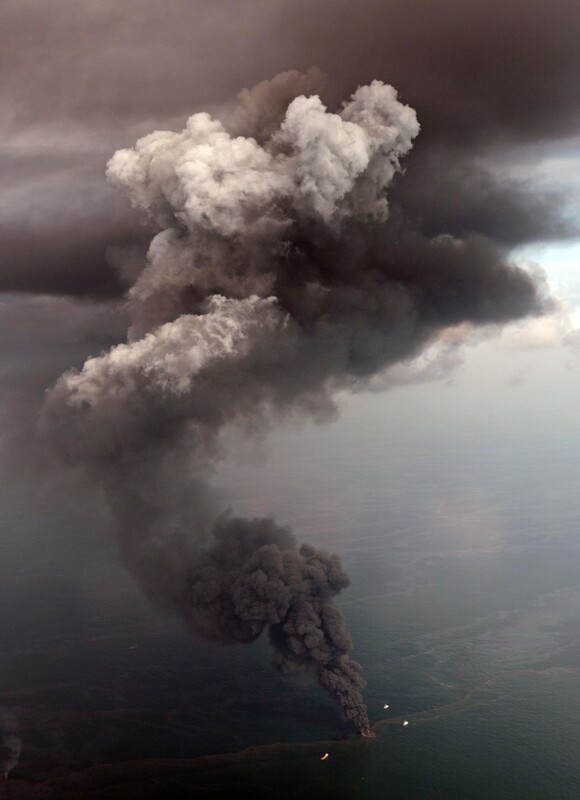 Vidrine's guilty plea acknowledged that this led to "underbalancing" the Macondo well, to the explosions and fire on the Deepwater Horizon, and to the spill and its damage. Keith Jones, whose son Gordon Jones died in the rig explosion, attended Wednesday's hearing with his other children. He said he was disappointed that prosecutors could not find any fault with the "company men" beyond the misreading of a test. "As a result of this court proceeding today, no man will ever spend a moment behind bars for killing 11 men for reasons based entirely on greed," Jones said. The prosecutors' court filing said dismissing the manslaughter charges is "in the interests of justice." Kaluza is scheduled for trial on Feb. 16, and prosecutors could call Vidrine, who faces his own sentencing on April 6, as a witness against him. The judge did not indicate whether he will accept the recommended sentence for Vidrine — 10 months of probation, 100 hours of community service and $50,000 in restitution for work to fix damage from the oil spill. The maximum for the misdemeanor is a year in prison. If the judge rejects the proposed sentence, Vidrine can withdraw his guilty plea. Vidrine's attorney, Robert Habans Jr., said he had no comment. The Deepwater Horizon rig, which London-based BP PLC leased from Swiss-based Transocean Ltd., was about 48 miles from the Louisiana coast at the time of the deadly blast in April 2010. Residents up and down the coast watched in horror as the spill continued for nearly three months, coating birds, fouling beaches and spoiling delicate fishing areas. This summer, BP agreed to a record settlement of nearly $20 billion to states affected by the spill, hoping to resolve the legal drama that has cost the company billions. At the time, the company said the settlement would bring its full obligations to an estimated $53.8 billion. Criminal cases against two other BP employees already have been resolved. In June, a jury acquitted former BP executive David Rainey of charges that he made false statements to investigators. Days before Rainey's trial started, a judge had dismissed a related charge that accused Rainey of obstructing a congressional investigation of the spill. In 2013, a jury convicted former BP engineer Kurt Mix of obstruction of justice for deleting a string of text messages. But a judge ordered a new trial amid allegations of juror misconduct, and Mix ultimately cut a deal with prosecutors, who agreed to drop the obstruction charge that could have resulted in a prison sentence. He got six months of probation after pleading guilty last month to a lesser charge.